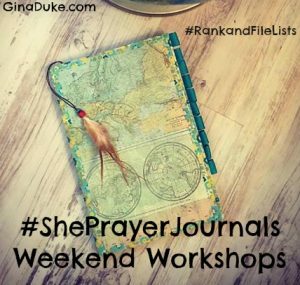 Welcome to my weekend workshop where I am sharing a peek inside my prayer closet. I am list-making my way through Organizing Your Prayer Closet this year and have really been enjoying it. This week, my video shares my top five life experiences where I picked up valuable life lessons. Just like the adage that hindsight is 20/20, so was this exercise. For each one, I felt like I learned new things along with gaining new opinions and insight on spiritual matters. This is my favorite thus far.